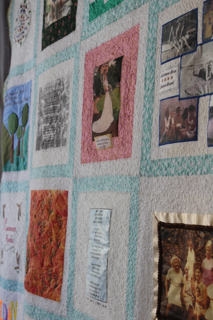 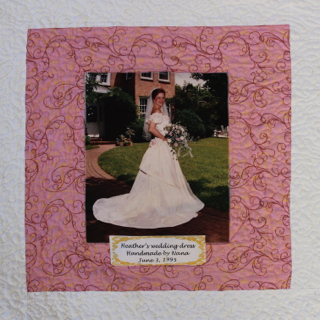 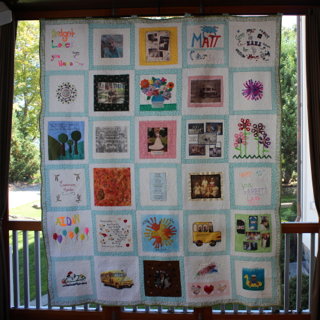 A much loved grandmother turned 90 and the family felt it would be a perfect occasion to put together a memory quilt as a gift for her. 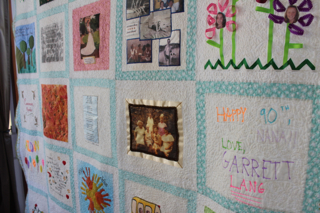 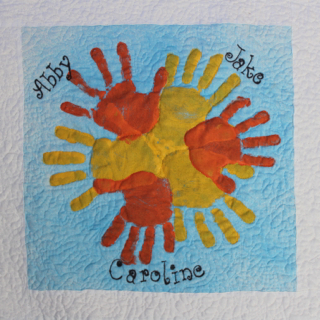 The grandmother makes every family member a quilt for various occasion. 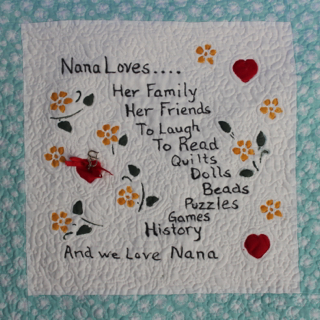 She is quite the dedicated sewer as well as a loving mother to four children, grand mother to 13 and great grandmother to an additional 21!! 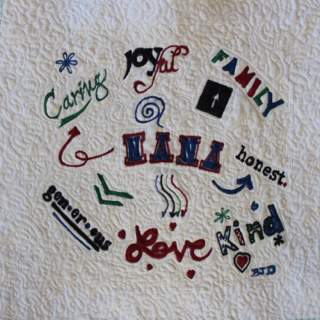 Back at the beginning of 2012 I sent a letter to everyone in the family asking them to create a square that would be sewn together into a quilt to celebrate the occasion. 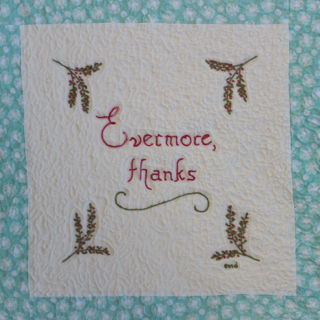 It was such a fun project – I really enjoyed putting it all together. 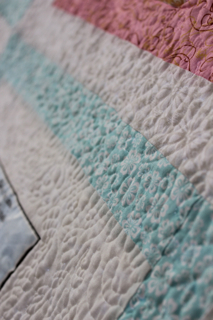 I quilted the huge beast on my Bernia which was quite an undertaking as I was 8 months pregnant at the time. 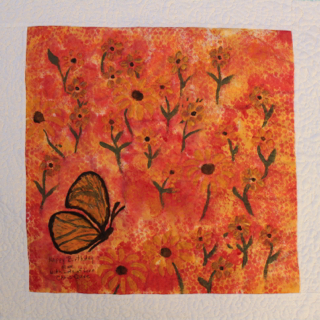 Here are some of my favorite squares in the quilt.